I had been dragging my feet about buying maternity clothes. It's not because I'm embarrassed about my protruding belly, but because the process is frustrating. Whenever I've purposefully tried shopping for maternity clothes, I've hated the frumpy choices or found that the items were too loose at this stage. Also, although my regular go-to stores like Loft, offer maternity items, they aren't in any of the locations near me. Same goes with Old Navy and Gap Maternity. Instead you have to shop the collection online only and since I'm new to all this, I didn't know what style or size to order. Argh! It's been especially hard finding appropriate and fashionable clothes for the office and I really needed some more professional options. I tried on a few supposedly work-appropriate pants, but they all looked like yoga pants and were not professional enough. Then came, Isabella Oliver, a hot maternity brand from Europe that makes stylish womenswear & maternity clothes designed in amazing fabrics that flatter your new pregnancy curves. Most of their selection features trendy and professional clothes that you'd buy normally, just made to accommodate pregnant bodies. The material feels rich and not like cheap spandex feeling moo moo throwaways found elsewhere. Isabella Oliver is also a favorite among celebrity bumps including Reese Witherspoon, Jennifer Garner and Gwen Stefani. Their Tailored Trouser in black look and feel like dress pants and have become a staple for me at work. I can pair it with almost any top and be set. Just wearing them has made me feel more confident and beautiful these last few days and not a frumpy mess. They are also now on sale for $77 (formerly $155). I also wore their Everyday Maternity Dress in dusk blue to an engagement party, but it also works well for work. It comes in a luxurious jersey material with a scoop neckline and gentle pleat detailing for a flattering silhouette. The dress is also on sale right now for $87. It just feels good to be fashionable again! I ordered my usual size for Old Navy and Gap Maternity. I think Target occasionally has some cute things for every day, but it always ran too big. I was mostly into Gap for work clothes and wore hand-me-downs because I'm too cheap for clothes I wasn't wearing more than 2 months. I was lucky in that I could wear non-maternity clothes for most of pregnancy, but I only had 1 baby. Good luck! You look fantastic! 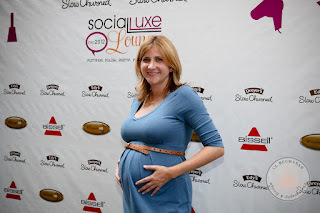 Fashionable cheap maternity dresses under $100 and nursing apparel by Seraphine maternity. Maternity Dress collection worn by Hollywood celebrities and Kate Middleton. Once again, I believe the slim belt right over your bump can truly aid! It will certainly aid provide you support the number that you shed with an increasing stomach!